What a day for Rachael and Brennan! The bride and her bridesmaids prepared for the day at The Cotton Room. While Ana’s mother helped her get ready, Brennan took a few moments to reflect on his feelings about Ana, and wrote a heartfelt note for his bride-to-be. They had a gorgeous ceremony at Immaculate Conception Catholic Church. 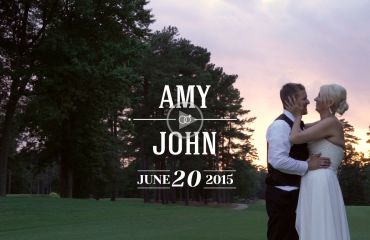 After their ceremony, the couple took ph0tos with their family and friends. 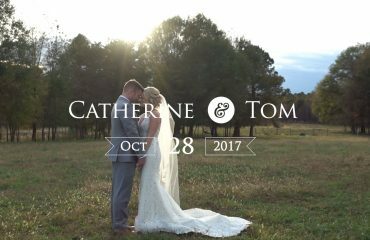 Afterwards, the couple and their wedding party headed to the American Tobacco Campus to capture special photos and video clips of the couple. 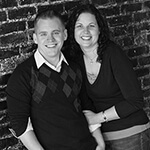 It was a blast working with Stacey at Stacey K Photography as they captured the important moments in photos. Ana and Ian then made their way back to The Cotton Room for their reception. They shared a beautiful first dance, then toasts were had by the father of the bride, sisters of the bride, and the best man. Soon after, the guests flooded the dance floor and stayed there all night thanks to Mike Biddle at Morse Entertainment. To end a memorable day, the guests then sent off Ana and Ian with a sparkler exit.